There’s a rolling highland, green as it is unceasing, billowing like yeast in and out of a stand of sugar maple and yellow birch. The dense wood tapers to a thicket lining before a velvet grass thins it out. At the base of a quiet knoll, an indistinguishable one of many, sits a modest timber-frame cottage with mossy rocks stacked to its shingles on one side. Smoke is quickly swept from a chimney into a brisk air that scurries through the glen, and as the whistling wind passes, it makes the faintest call, transforming for a moment into a woman’s voice before it sails on. This finite, fleeting moment, where the transmuted wind harmonizes with its surroundings, is Mountain Man. Maybe it’s the Emerald Isle. Maybe it’s their home state of Vermont. Maybe it’s neither of those places. But that’s how it feels. That’s how they feel. In fact, Made the Harbor, the trio’s debut, could embody any number of musical ideals–warm southern folk, pensive New England odes or soft Celtic hymns–a surprisingly expansive imagery for such a spare ensemble. Just three voices gliding in and out of each other over an acoustic guitar, this is as minimalist as the recent-years folk revival has gotten. But the range, easily overlooked to start, can’t be denied. “Honeybee” recalls an Irish traditional trimmed of the fiddle and accordion’s velocity, while “Babylon,” an abridged Psalm 137, summons the resounding canticle of a stone church. And like something out of O Brother Where Art Thou?, “How’m I Doin'” is a baptism of sirens. A little cleansing might be in order after “Sadie Doreen, the hottest gal down in New Orleans,” has “two little drinks” and begs, “Please, Mr. Moon don’t you tell on me,” as she gazes upward through a tree in her stuttered stupor. With the question at hand, she’s looking for repentance possibly, possibly guidance. 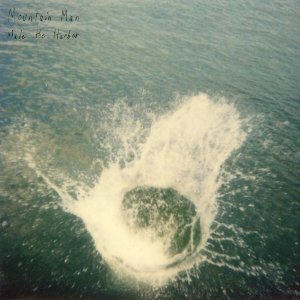 ALSO CHECK OUT THE SUN DOG EP 10″ FROM MOUNTAIN MAN OUT NOW ON UNDERWATER PEOPLES RECORDS!!!!! Trust AD.. I saw these at Hyde Park a couple of weeks back, thanks for reminding me!